Just like last year, Metro riders can score free rides on both Metrobus and Metrorail on New Year's Eve, courtesy of Miller Lite. You've just got to wait for the ball to drop first. 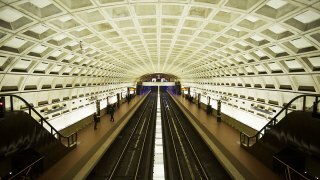 Rides will become free at midnight on Jan. 1, with free service until 3 a.m., according to WMATA. Metrobus riders will simply need to show their SmarTrip cards to their bus drivers to board for free. WMATA said Miller Lite will reimburse the transit system for the cost of all trips taken for those three hours of late-night service.